Their vinyl ‘skin’ painted with blemishes and imperfections; their hair is delicately placed strand by strand into the perfect position. Eyelashes added with care and attention. These are the true designer babies. 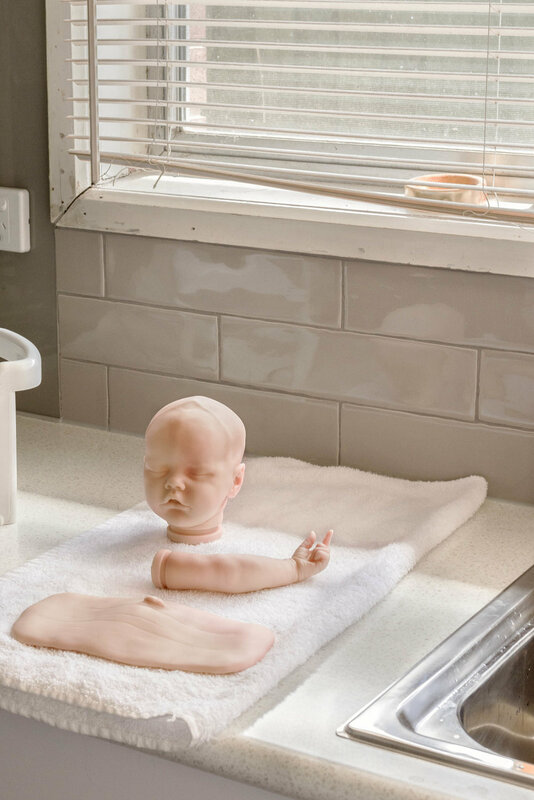 The subculture of reborning is still in its infancy, and as it attracts more and more followers, more controversy ensues. 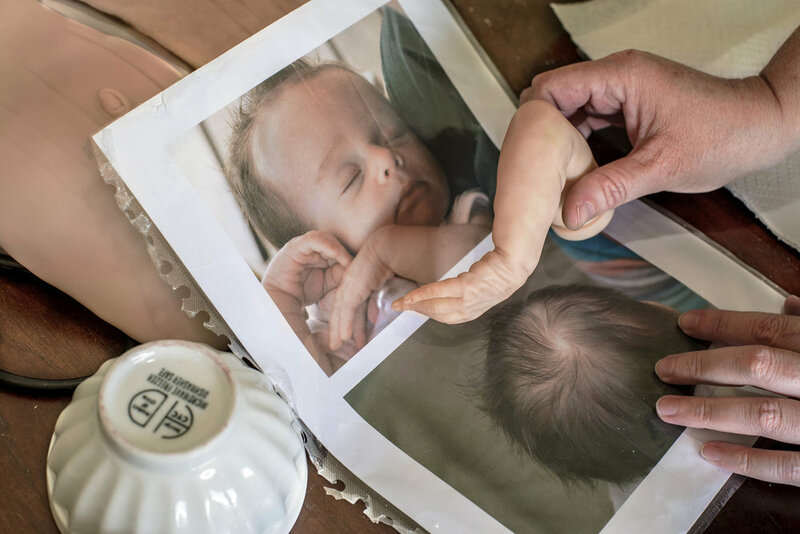 Most people think of the art of reborning as creepy and disturbing, they fail to comprehend the level of dedication and skill that is required to create these dolls; let alone see the positive impact these dolls can have on their owners lives. 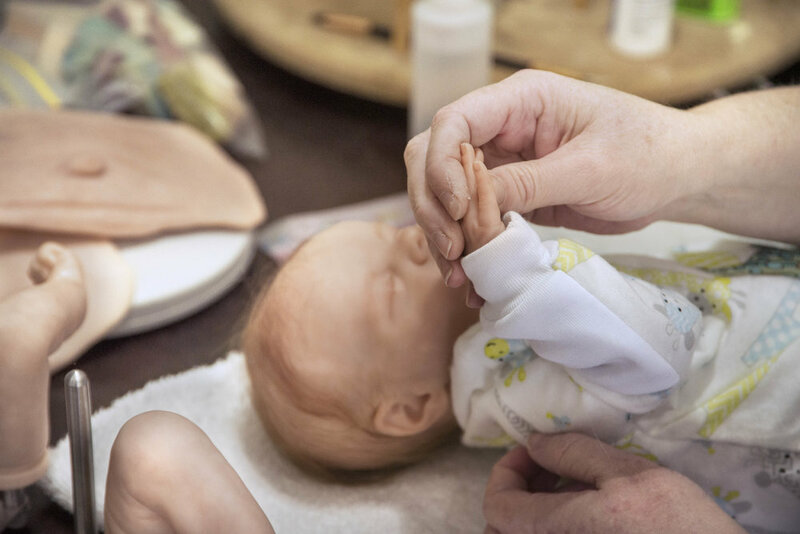 These dolls are often purchased by women mourning the loss of their own children, and are increasingly being purchased by nursing homes; to be used to help calm down dementia patients. However as the market for these dolls has increased; reborn artists have had to dramatically reduce their prices to compete with the counterfeit dolls that are flooding the market.